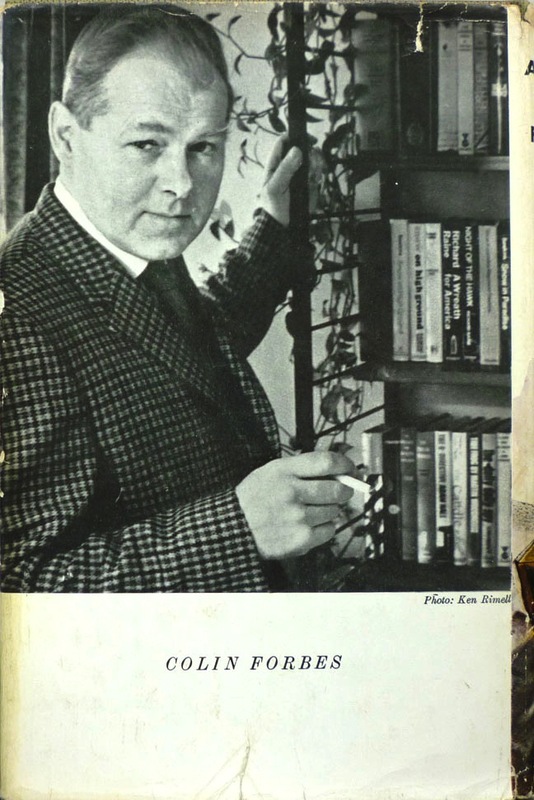 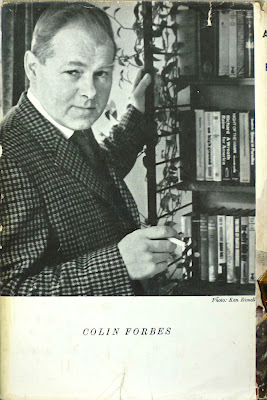 On to the second of three very special books by thriller writer Raymond Sawkins, alias Colin Forbes, all of which I acquired from noted book dealer Jamie Sturgeon. 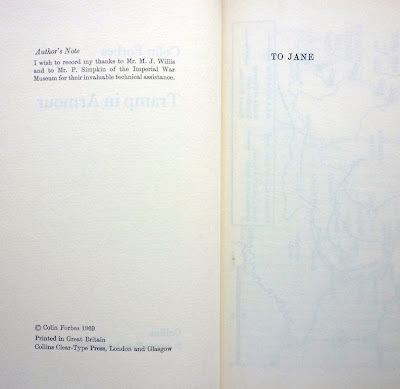 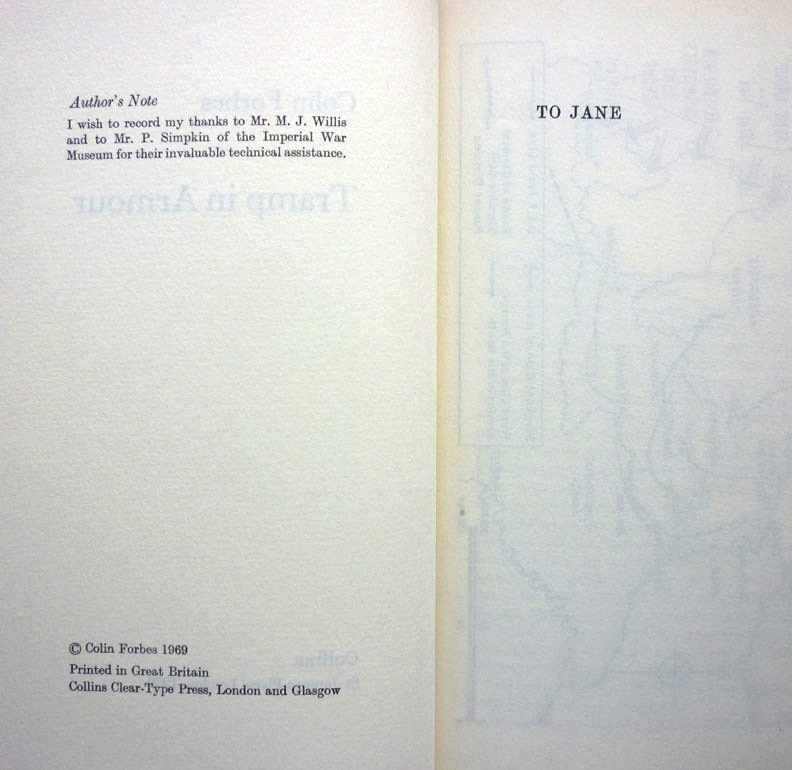 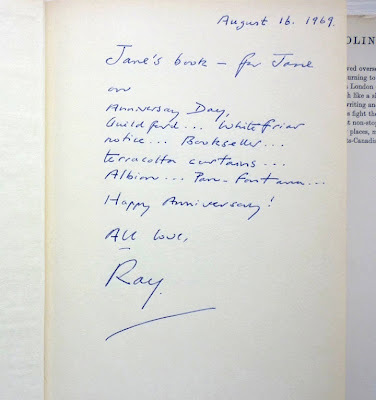 And like yesterday's paperback edition of A Wreath for America – written under one of Forbes's other pseudonyms, Richard Raine – today's book also boasts a highly personal inscription from Sawkins/Forbes to his wife. 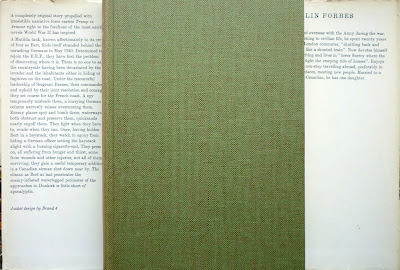 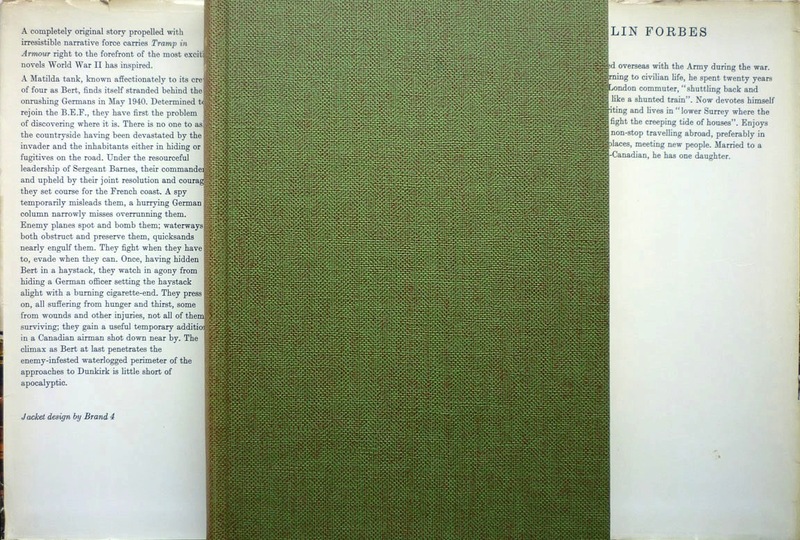 Published in hardback in the UK by Collins in 1969, under a dust jacket designed by Brand 4, Tramp in Armour was Sawkins's first book using the Colin Forbes moniker. 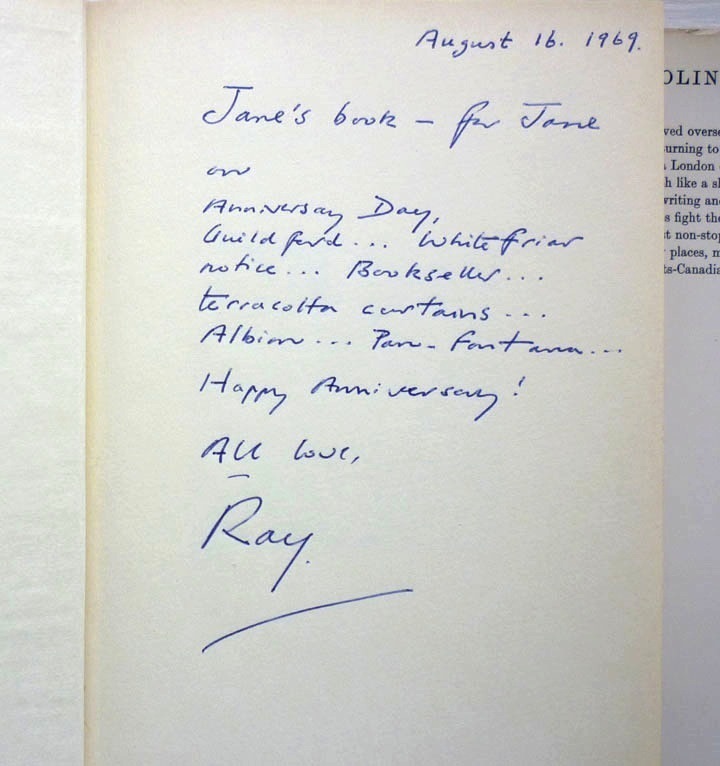 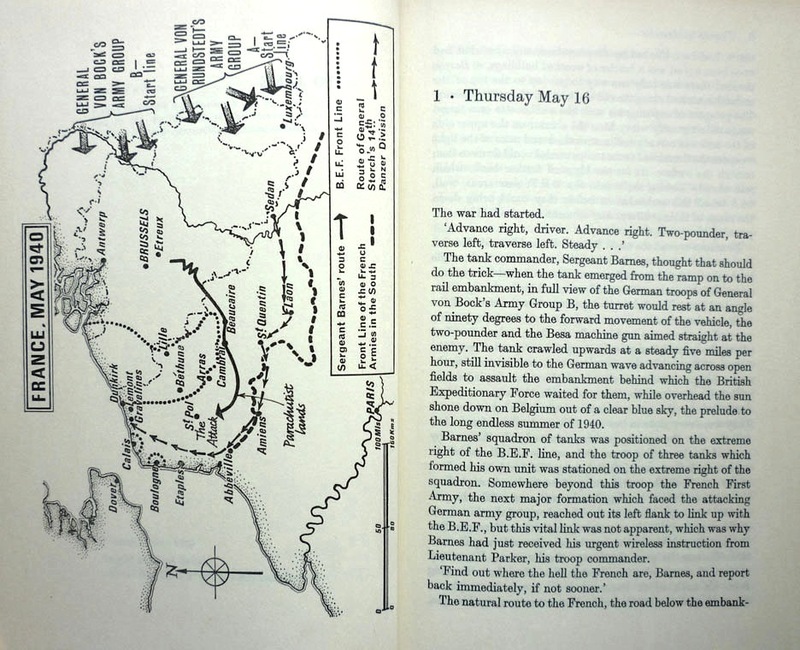 (As noted yesterday, Sawkins would later distance himself from his earlier novels, preferring to name Tramp in Armour as his overall debut – although, as spy novelist Jeremy Duns just pointed out to me on Twitter, if you zoom in on the author photo above, you can see some of the other novels he wrote as Sawkins and Richard Raine on his bookshelves – which, Jeremy believes, is how Forbes's fans later discovered he was the author of those works.) 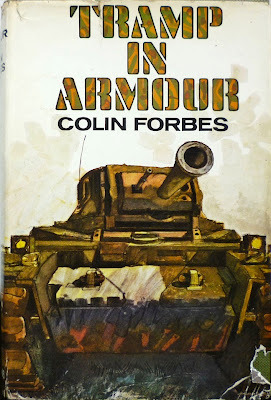 It's an action-packed World War II-set tale of a British tank crew who find themselves stranded behind German lines, and is widely regarded as one of Forbes's best novels – Steve Holland at Bear Alley, for example, cites it as one of his favourites, and there's a positive Kirkus review here.